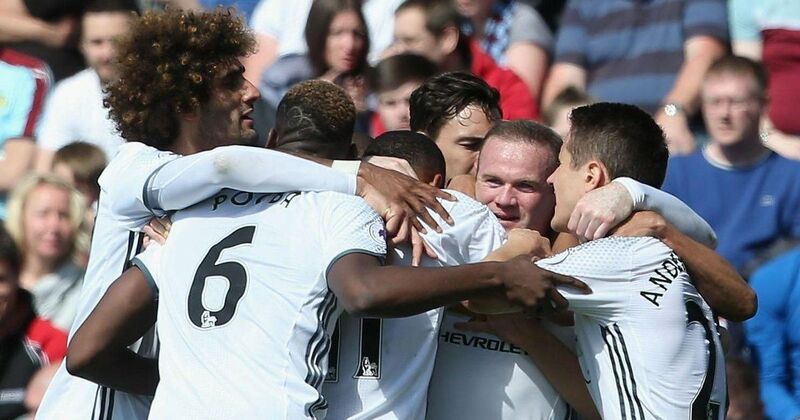 Manchester United capped off what has been a brisk and busy eight days with an assured 2-0 win over Burnley on Sunday. Having already played two incredibly demanding encounters against Chelsea and Anderlecht in the same week, Jose Mourinho took a tentative approach in his team selection: making eight changes to the team that featured against the Belgian side in the Europa League. Anthony Martial and Wayne Rooney returned to the starting xi in place of the injured Zlatan Ibrahimovic and Marcus Rashford- who was rested having endured a grueling two hours of football on Thursday. United took center stage with a daunting opener by Martial in the twenty-first minute, not as daunting as learning how to get free bets however, but it was Rooney’s finish right before the break that put the Red Devils in cruising control. Although Jose Mourinho has plenty of attacking options, the defensive backline is increasingly looking like an accident about to happen. Eric Bailly- who has now played 210 minutes in just three days- showed signs of exhaustion towards the tail end of the encounter at Turf Moor, with no experience to support him from the bench. How well the Ivorian alongside Paul Pogba recover from jaded legs will be essential in preparation of the Manchester derby on Thursday. The win was greeted with a sense of relief as it drew United closer to a top four finish, cutting the gap with Manchester City to a solitary point. As Liverpool is in danger of slipping from the top 4, their loss to Crystal Palace was detrimental and adds greater significance to United’s victory, more so ahead of the midweek Manchester derby in the Premier League. A victory of any kind would elevate Jose Mourinho’s charges to a Champions League spot for the first time in nearly seven months, while an emphatic win of three goals and over will see the devils of United cement themselves in third place ahead of Liverpool and Manchester City. Manchester United may need to come big this week in the derby to lobby for a top four finish, but Jose Mourinho still has his sights firmly set on clinching yet another trophy this season. United booked a place in the Europa League semifinal with Spanish side Celta Vigo: with the second semifinal settled between Ajax and Lyon. Should United go all the way to clinch the Europa League, it will be Jose Mourinho’s 25th major trophy, and his third as a Manchester United manager. ← Previous Story Marouane Fellaini: Should he survive the summer or receive the chop?